This form must be completed by every participant prior to the tour. If you're having trouble completing this form online, feel free to sign it in person when you arrive for your tour. 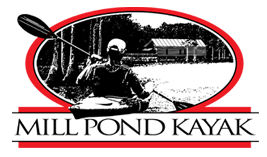 May we send you updates on upcoming Mill Pond Kayak activities? Signature of participant, or of participants parent/legal guardian if participant is under 18 years of age. By entering your signature here, you acknowledge that the information on this form is correct and that your electronic signature is legally binding.